When you have a new baby, there are plenty of firsts to look forward to: their first smile, their first step, their first word, and even their first tooth! The British Society of Paediatric Dentistry recommends that parents start bringing their kids to a dentist for children by the time that first tooth pops up, or at the latest, by your child’s first birthday. 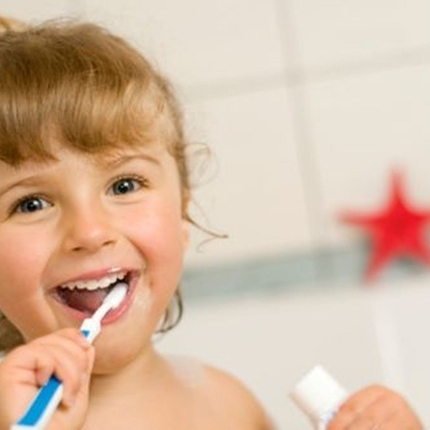 While it may seem early to some parents, it’s best to establish a foundation of proper dental care early in life. Some children can have as many as 20 baby teeth by the time they reach 6 months, so it’s important to take preventative measures in order to avoid any potential oral health problems before they arise. A dentist can check for early signs of tooth decay, examine your child’s bite, and look for issues with the gums, jaw, or oral tissue. This will also ensure that you establish a lifelong pattern of positive dental hygiene for your child. While you may already regularly attend a private dental practice, children have unique needs when it comes to dental care, so it’s essential that you take your child to a dentist that specializes in infant care. Make sure your child feels comfortable with the dentist. Before your first appointment, schedule a consultation with the dentist. This consultation won’t consist of any actual dental work; it will simply give you and your child the opportunity to build rapport with the dentist before undergoing any treatment. A consultation typically consists of an education session–letting parents ask any questions they may have about their child’s dental care. This will give you the chance to see how the dentist interacts with your child and to determine whether or not your child feels comfortable in the dentist’s presence.The consultation can also ease your child’s anxieties about going to the dentist by making them familiar with the surgery ahead of time. In lieu of a consultation, you can schedule an appointment for yourself, and take your child along for the visit, this is something we encourage at Vitality. The surgery staff should be friendly. A great children’s private dental practice is defined by the personality of its staff members, and that goes beyond the dentist. From the moment you walk in the door, the receptionist should greet you warmly, making you and your child feel immediately welcome. Setting the right tone for the visit will make the dentist visit feel much less threatening in the eyes of your child. The hygienists and dentist should also have bright, positive attitudes that make your child feel at ease. The dental staff should respond well to stress. No matter how friendly the staff, it’s inevitable that your child will experience some discomfort at some point in their dental visit. How the hygienist and dentist react to your child’s stress will go a long way to providing a positive experience for your child. If your little one starts to cry, kicking and screaming, the staff should respond patiently and positively, using professional behavioural techniques to calm them down. Whether it’s through puppets, silly voices, or any other means, a great children’s dentist will show a great deal of sympathy when your child feels discomfort. The dentist should be a great teacher. In addition to providing dental care, a good children’s dentist should also be able to encourage your child to practice proper dental hygiene at home. From demonstrating proper brushing and flossing techniques, to teaching the effects of diet, the better a teacher the dentist is, the better your child’s oral health will be.Not only should your dentist be able to teach your child, they should be able to teach you too! Your child’s dentist can explain how to properly care for your infant’s teeth, including how to properly handle dental emergencies like knocked-out and fractured teeth. Your child’s dentist should take after-hours emergency calls. Children are prone to accidents, and you never know when you’ll need after-hours care from an emergency dentist! Make sure you know your dentist’s policies when it comes to after-hours care. The dentist’s location and surgery hours should fit your schedule. What if you find a great surgery, but it’s at the opposite end of town? It’s important to take convenience into account when picking a dentist. Make sure that the location and surgery hours fit your schedule so that you don’t end up sacrificing visits in the future. Find out the surgeries policy for cancellations and missed appointments, as this can vary widely from surgery to surgery. Depending on your personal schedule, you may need a dentist that’s more flexible when it comes to cancelling. In the case of after-hours emergencies, you’ll also want a dentist that’s nearby! The dental practice should offer excellent care. At the end of the day, the most important factor to consider is the quality of care the dental practice offers your child. The practice should have modern facilities, child-appropriate dental equipment, and provide a full range of services. A great dentist goes beyond basic oral exams, and is able to provide risk assessments for cavities and the need for orthodontics, information about dental habits such as thumb sucking and teeth grinding, and proper care for knocked-out, fractured, or displaced teeth. At Vitality we encourage your child to enjoy their dentist experience, to not be afraid and to see the benefits of a bright beautiful smile. We offer free consultations for your child, that’s how confident we are that your child will feel positively after the experience. To learn more about scheduling a consultation for your child, contact Vitality Dental today! ← We’re looking for the Face of Vitality! At our Facal Aesthetics launch event. Don’t let middle age wreck your smile! The top tips you need to keep your teeth healthy your entire life. Are your gym goals hurting your dental health? Vitality takes a close look. Is tooth whitening right for me? What can I expect from tooth whitening at Vitality? “I would like to thank Arvin so much for all the pain free dentistry over the last three months. I have peace of mind from the Vitality team and their continued care. I now have a happier and healthier mouth! To a hard working team a BIG thank you from a ‘recycled teenager’!